South Beloit population 2011: 7,892. City’s vision for its future and serves as the offical policy guide for improvement and development. The Plan, which outlines the City’s vision, goals, and objective, is intended to provide a common playbook for elected and appointed officials, business owners and developers, residents and othe community shareholders. As a policy guide, it is meant to be an aid for making decisions about land use and development, transportation and infrastructure, parks and open space, and much more. 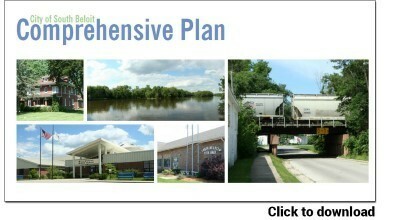 As a representationof the community’s devlopment desires, the Plan will assist the City’s leadership in achieving the communitu’s share dvision for its future. Click to download. South Beloit sits on the WI/IL state line, and we work closely with economic development community partners in Rock County in Wisconsin and Winnebago County in Illinois. Our geographical location on the Illinois-Wisconsin border, midway between Lake Michigan and the Mississippi River, puts us in the center of the U.S.A.’s biggest market-the Midwest. Speedy access to these markets is provided by the area’s diversified transportation systems. Interstate Highways 39, 90, and 43 link the area with other Wisconsin and Illinois communities, as well as the rest of the nation. North American Tool, headquartered in South Beloit, is a global company making a complete line of made-to-order cutting tools such as special taps, dies and thread gages. A special tap is a cutting tool that cuts internal threads and is manufactured with specifications that vary in diameter, thread combinations and dimensions that are found in anything from eye glasses to the Space Shuttle. What is now South Beloit was previously full of natural resources such as copper, lead, and bog iron. Buff and blue limestones were plentiful everywhere in Winnebago County, with limestone forming the banks of the Rock River and Turtle Creek. The buff limestone gave the first settlers material for their houses and public buildings, some of which can still be seen in Rockford, Rockton, Beloit and South Beloit. The older homes in South Beloit had 18–20-inch-thick basement walls of this limestone. The South Beloit area has a thick deposit of sand, and industries were built here because of its unusually fine quality. A fine quality of clay was also found in the state line area. 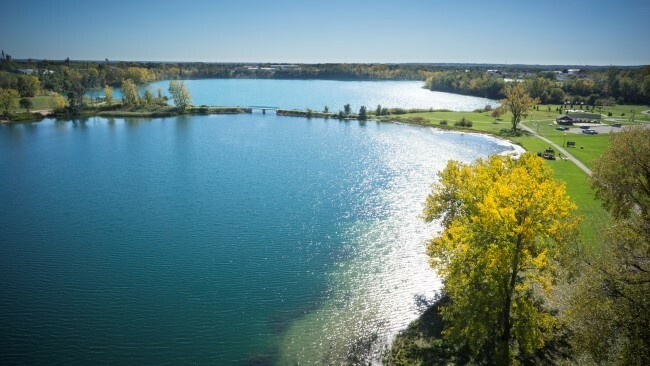 Two of our beautiful lakes, Lake Victoria and Pearl Lake, were originally gravel quarries. Many Peoples have inhabited South Beloit over the years, including the Mound Builders, Sioux, and Illinswek (Illinois). Around 1830, a large Ho-Chunk village known as Ke-Chunk (Turtle Village) existed near the mouth of Turtle Creek close to the Illinois-Wisconsin state line in what is now Beloit, Wisconsin or South Beloit, Illinois. The word Ke-chunk (properly Kečąk), means “turtle” and was used to denote the Ho-Chunk village on Turtle Creek. In 1829, according to U.S. Indian agent John Kinzie, this village had 35 lodges with nearly 700 inhabitants. Notable Ho-Chunk leaders associated with the village include White Crow (Kau-ree-kau-say-kaw), Whirling Thunder (Wau-kaun-wee-kaw), Walking Turtle (Karramaunee), and Little Priest or Little Chief (Mor-ay-tshay-kaw). The early French-Canadian trader Joseph Thibault built a cabin near the village site in 1835 or perhaps earlier. Excerpt from The Search for Ke-Chunk – 2012 Investigations in South Beloit, Winnebago County, Illinois, By William Green, Logan Museum of Anthropology, Beloit College, Beloit, WI. Dr. Green conducted archaeological research at The Confluence in the summer of 2012. Read more about it at Nature At The Confluence website.